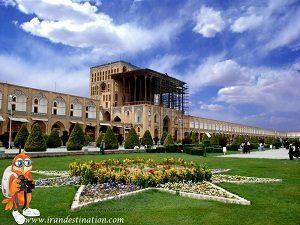 A nomadic tour to Iran will provide a good opportunity to visit Kashan and Abyaneh village. A pathway travel next to Iranian deserts and a journey to Zagros Mountains are other aspects of a nomadic trip. You can also try settlement in nomadic nets while eating their special foods. A chance to visit Margoon waterfall and enjoying mountainous nature of Iran are other consequences of this type of trip. At the end of this tour we will visit Shiraz and the ancient city of Persepolis. Upon arrival in the capital of Iran enjoy a unique tour of Golestan palace, one of the oldest places in Tehran. There are several museums in this complex where royal Qajar families used to reside. In the afternoon we visit National Museum of Iran to gain an insight into Iran’s History, culture, and art. Our next stop is Abyaneh, a small village 320 km South of Tehran. This village, one of UNESCO’s World Heritage Sites, is also called the Red village because of its red soil and houses. After a traditional lunch in Abyaneh, we travel to Kashan another historic village, to explore Tepe Sialk, Fin Garden, and Boroujerdian house. After a two-hour drive we arrive in Isfahan in the morning. The city tour includes Naghshe Jahan Square, one of UNESCO’s World Heritage Sites, with its unique architecture belonging to Safavid Dynasty, Ali Qapu Palace, Lotfollah Mosque, Imam Mosque, and the traditional bazaar. It’s the time to get some of your souvenirs because you can find exquisite handicrafts at bazaar. Later in the evening we enjoy Vank Cathedral and Chehel sotun Palace. To make the most of your day you can take a stroll along the Zayandeh rood at night and be swept away by its tranquility. In the morning we continue our trip to Shahrekord (after a 1-hour drive). We have a tour of the city to admire panoramic vistas. Later in the evening we travel to Koohrang County, 85 km away from Shahrekord, to enjoy its natural attractions. Today’s sightseeing includes Saman and Sabze kooh national park in order to enjoy some untouched natural beauty. Enjoy a 3-hour scenic drive to Yasuj where we can see nomadic tribes on the way and join them for a traditional lunch in a nomadic black tent. We drive to Sepidan County in the evening. After a two-hour drive we arrive in Firuzabad in the morning. We explore Sassanian fire temple (palace of Ardashir) with its unique design and the picturesque pond next to it. In the afternoon we go back to Shiraz to relax in Hafez Tomb and get a good impression of the city at night. We drive to Kohmare Sorkhi early in the morning to join Qashqai nomads and spend half a day with them to get familiar with their way of living. No trip to Iran is complete without seeing Persepolis and Naghshe Rostam. In the morning we head to the treasure of Iran ancient history. Persepolis, once the Capital of Persian Empire, is 80 km North of Shiraz, after having lunch drive to Shiraz. Transfer to Airport to Fly to Tehran Mehrabaad airport and departure at Imam Khomeini airport to your country.